Trees in lawns pose an unusual dilemma. Mowing and weed whacking around them can cause physical injury to the tree’s bark. Additionally, roots can surface and poke through the ground, causing a tripping hazard and exposing them to drying air. One solution to both these issues is to make shrub and tree island beds. These ring gardens offer a buffer from mechanical devices and give exposed roots some coverage. What is a Ring Garden? Love them or hate them, ring gardens around trees and shrubs are a common sight in residential landscapes. What is a ring garden? You can find them in many different forms, but the basic concept is the same. A circular area around a tree is bordered at any diameter and filled with mulch, plants, rocks or other material. The idea may be for visual interest or simply to keep the tree from mechanical injury. There are many ideas for unique ring garden design that can perk up the yard and tie the tree into the landscape. 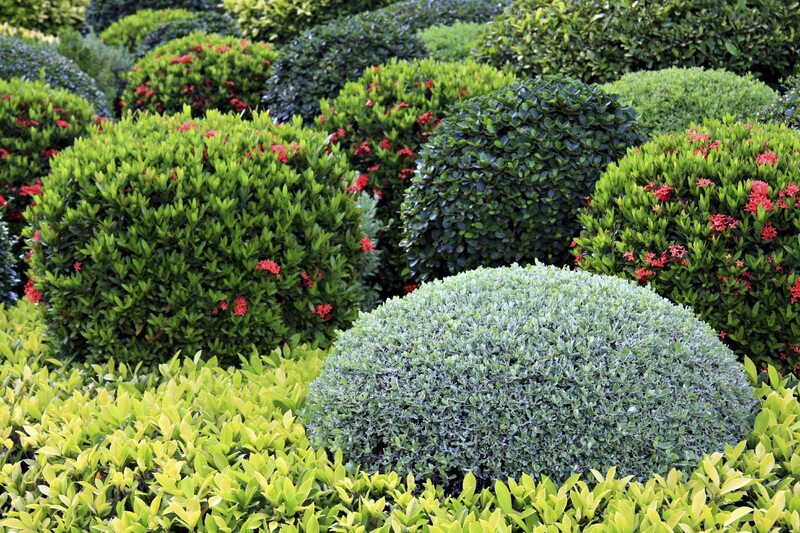 Landscape professionals call ring gardens, “islands.” These can take any shape but are extended areas of soil or mulch away from the trunks of larger plants. In essence, gardens around trees and shrubs provide additional visual interest and protection from injury for larger plants. If planted well, the island bed can accent the tree or shrub and enhance the overall landscape. 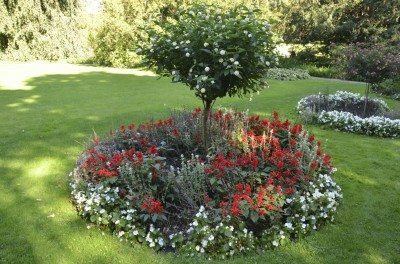 Ring garden design can be simple circles excised around the tree and covered in mulch or extend to a fully planted bed with a variety of exciting flowers, bushes, bulbs and ground covers. Your imagination is the limit on tree ring gardens. If the plant is ensconced in the lawn, build a soil or mulch bed to any width you prefer. Add no more than 2 to 4 inches of soil or mulch around the base of the tree to avoid fungal and bacterial issues from close contact on the bark. Then you can border it if you wish or leave it natural. The choice of plants for the new area should take into consideration such things as lighting, moisture levels, the extent the tree roots’ range and the depth available for planting. Tree roots can be easily damaged if disturbed, so planning gardens around trees and shrubs should ensure little disruption to the roots. It is important to install only a few new understory plants at a time. This will allow you to assess the entire bed’s adaptation to conditions. Ensure the tree’s needs are met first since it is a long term investment and replacement can be costly and difficult. 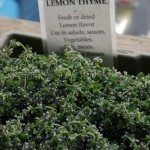 Ground covers help conserve moisture, prevent weeds and add lively color around trees and shrubs. Plants like sweet woodruff, thyme, and vinca are easy to grow and produce seasonal flowers. Flower bulbs brighten early spring days and bloom long before deciduous plants have produced leaves. Smaller shrubs and some shallow perennials make excellent accents. Avoid plants with deep or large root systems, as they can interfere with the tree’s uptake system. Plants with drier preferences may mix well with drought tolerant native grasses. Pick plants with similar moisture needs and those that can tolerate partial sun. Once you are successful with a few plants, add some other easy to care for specimens over the next few years until you have built a garden space that is suited to your landscape and pleasing to the eye.